Legendary spinner comes to the rescue of Indian spinners after they failed to perform in the 4th ODI! Muttiah Muralitharan has said that the Mohali ODI against Australia was “just one bad game” for the spin duo of Yuzvendra Chahal and Kuldeep Yadav otherwise they are doing a good job for the team. The former Lankan spinner has also added that all the players in a team can’t be match winners. The India-Australia ODI series is now levelled at 2-2 with one game left to be played after Australia chased down 359 inside 48 overs in the fourth ODI in Mohali on Sunday. India went with both Yadav and Chahal in that game and conceded a total of 144 runs in 20 overs. The Aussie batsmen Usman Khawaja and Peter Handscomb did well to score runs in the middle overs despite losing first two wickets inside four overs. Meanwhile, spin legend Muralitharan has come out in support of the duo explaining that the game in Mohali was just a one-off occasion where both of them failed. He also praised the Indian wrist spinners for their recent performances in international cricket. “I think they are doing a good job. Both are quality performers and the fact that they have done well in all conditions bears testimony to their talent. Also, why do you think someone of the calibre of R Ashwin is not being able to squeeze into the limited-overs team? It is because these two have done well. Just one bad game (in Mohali) can't be enough to criticise them. We are not dealing with robots here," Muralitharan told IANS. 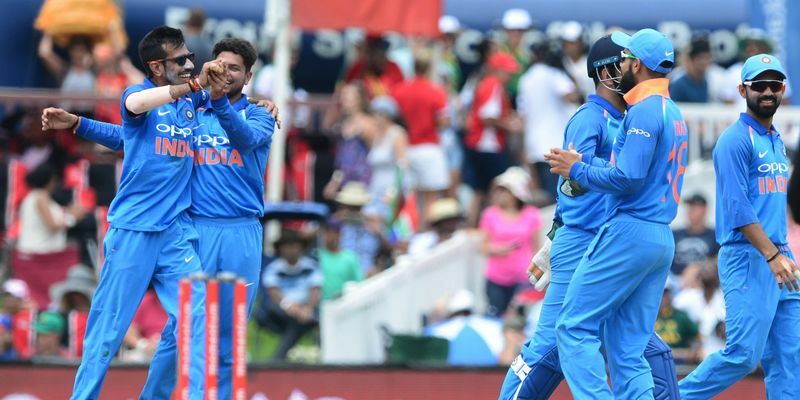 After winning the first two ODIs, India are currently under some pressure as the visitors did well to bounce back in the series by winning the third and fourth game. The last match is scheduled to be played in Delhi and the Indian side will look forward to winning the last game before the upcoming Cricket World Cup in England. "You have to be patient with the team. The Indian team has been doing really well and are trying to experiment with the World Cup around the corner. You will get failures on the road to success as there cannot be 11 Virat Kohlis in the team. Not everyone can be a match-winner," Muralitharan explained. Speaking about the role of Indian fans in the upcoming grand event, Muralitharan said, “The fans have to be patient. The Indian players have done well and you cannot put too much pressure on them. This is a sport and there will be winners and losers. It is important to keep the pressure off the players as they must be allowed to focus on the game and that will bring the desired results."